An attendee at the prayer service looks over the song, 'We Shall Overcome'. A prayer service in honor of Dr. Martin Luther King Jr. was held in the Chapel of the Holy Family at Marquette University this morning. Students, university officials and members of the community were welcomed to join. 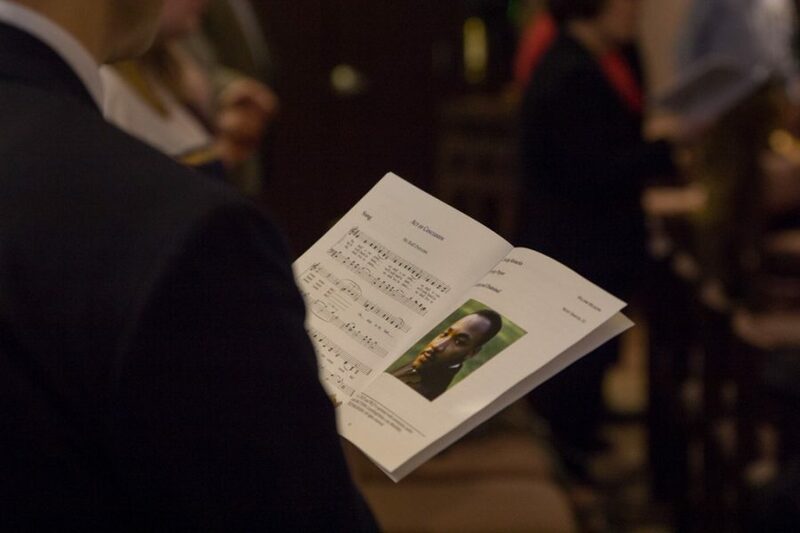 The service remembered the works and mission of Dr. King through song as well as readings of many speeches and writings Dr. King wrote throughout his life. 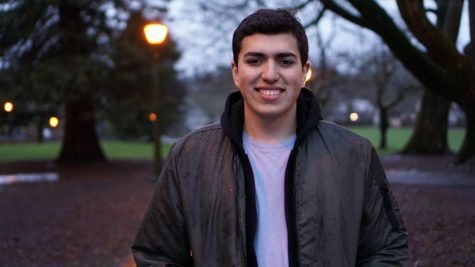 Brian Martindale, a senior in the College of Arts & Sciences, said he was inspired to attend by the effect Dr. King has had on his own life. Acting Provost Kimo Ah Yun attended and said the core focus of the service was social justice. “This is an opportunity for us to remember that, to engage in ways that are meaningful while also bringing it to the front of our minds,” Ah Yun said. Steve Blaha, assistant director of Campus Ministry, said it’s always important to reflect on the life of Dr. King and to work towards racial reconciliation. Marquette University Student Government president Meredith Gillespie said the prayer service was a good way to begin the new semester. “In our world that can be so divisive and violent, it’s important to keep Dr. King’s legacy of love centered in our lives,” Gillespie said. President Lovell attended the service this morning and said he was pleased with the outcome of the event. “We had so many different campus leaders and members of the community here at this event and it’s a reminder that we all need to work on this together,” Lovell said.